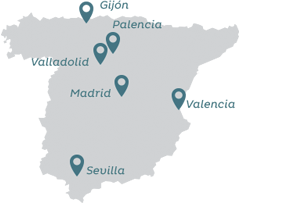 FITOTRANS Palencia is located in the Dueñas Industrial Estate, on the A-62 motorway, km 99. The 10,000 m2 building contains a number of different modules. It is only 7 km from the inland port of Venta de Baños, which also boasts a rail freight terminal. There is a fire station just 20 minutes from the site.